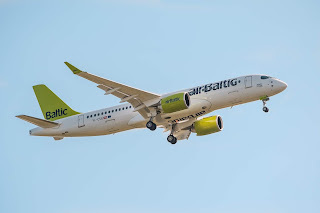 The rapidly expanding Latvian based airline airBaltic transported an impressive 2 770 047 or 18% passengers more during the first eight months of 2018 than in the same period last year over its network spanning Europe, Scandinavia, Russia, CIS and the Middle East. During August 2018, 440 562 passengers or 14% more than last year travelled with airBaltic. In addition in summer season, airBaltic carried +18% more passengers, marking this period as a record for the airline. The 15-minute flight punctuality indicator for airBaltic during the first eight months of 2018 reached a level of 86%. This means that more than 86 out of every 100 airBaltic flights departed at the planned time or with a delay of no more than 15 minutes. Only less than 2% of flights were delayed more than an hour.